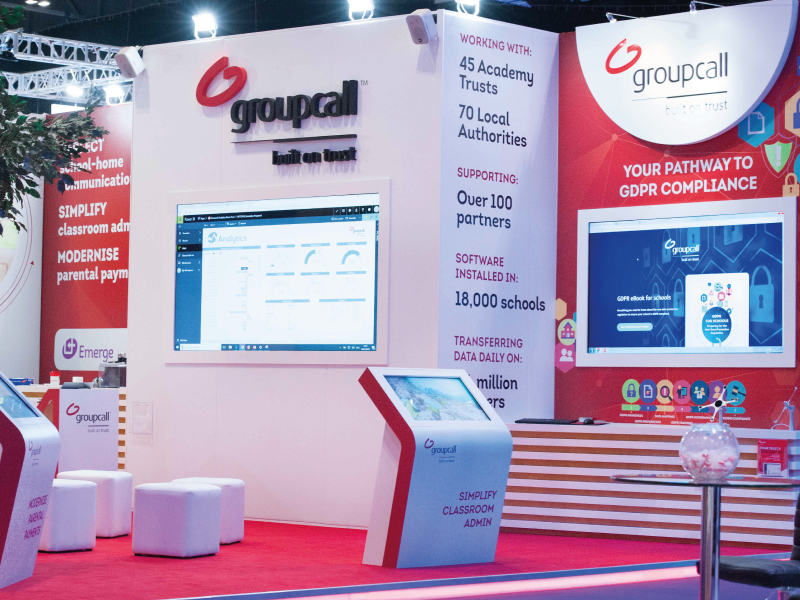 Groupcall provides trusted communication, data and identity management solutions for the education, public and business sectors. 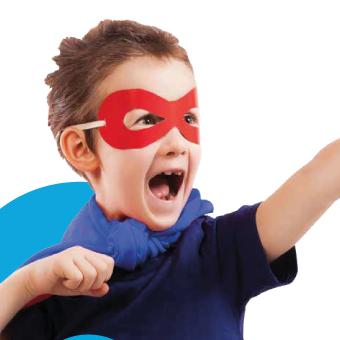 From contacting parents in an emergency to tracking and improving attendance, they help schools and parents communicate quickly and securely in over 5,000 UK schools. 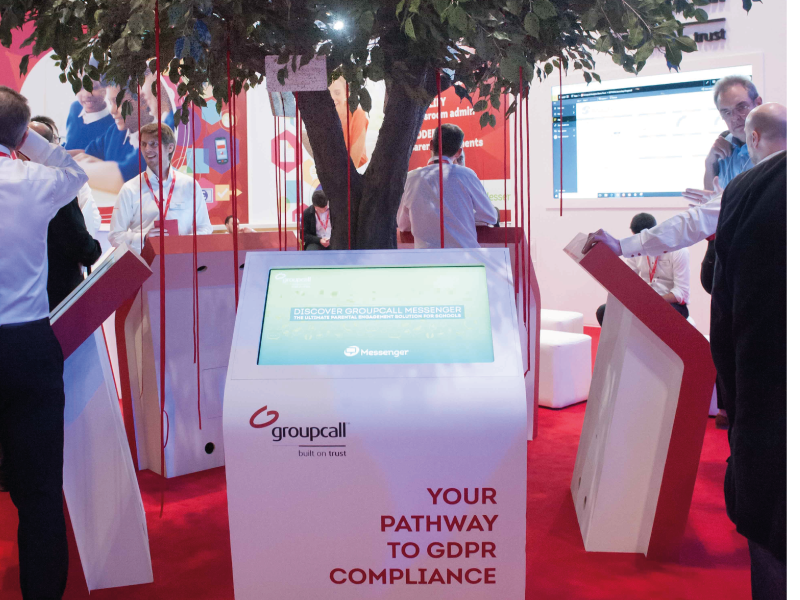 They had an important message to get across about their GDPR compliant solution and big demands for an impressive exhibition space. We had some big technical and design challenges to manage on this build. Behind the scenes we carefully routed nearly 2km of wiring for the large screens and multiple demo points. 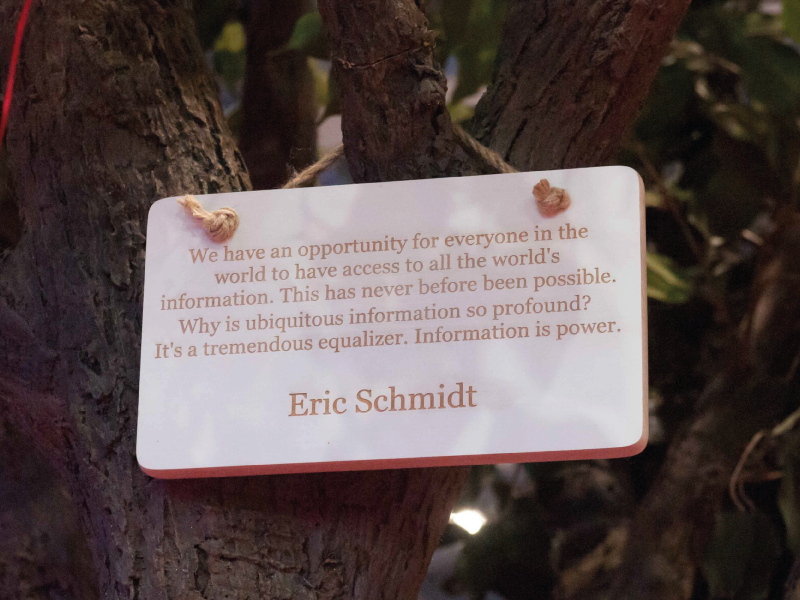 As well as making sure the technology worked, a realistic replica ‘tree of knowledge’ created an eye-catching centre piece to draw visitors in. 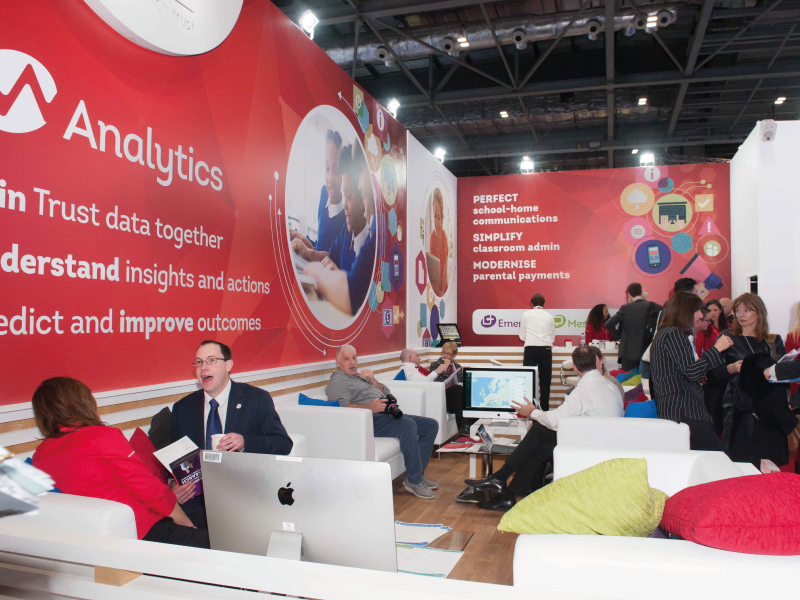 With meeting, hospitality, serving and seating areas, we created a location where people wanted to linger and find out more. 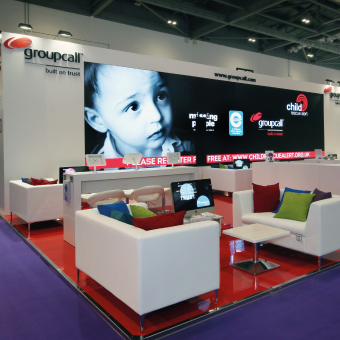 The Groupcall stand was constantly busy throughout the exhibition and over 400 leads were taken during the event. 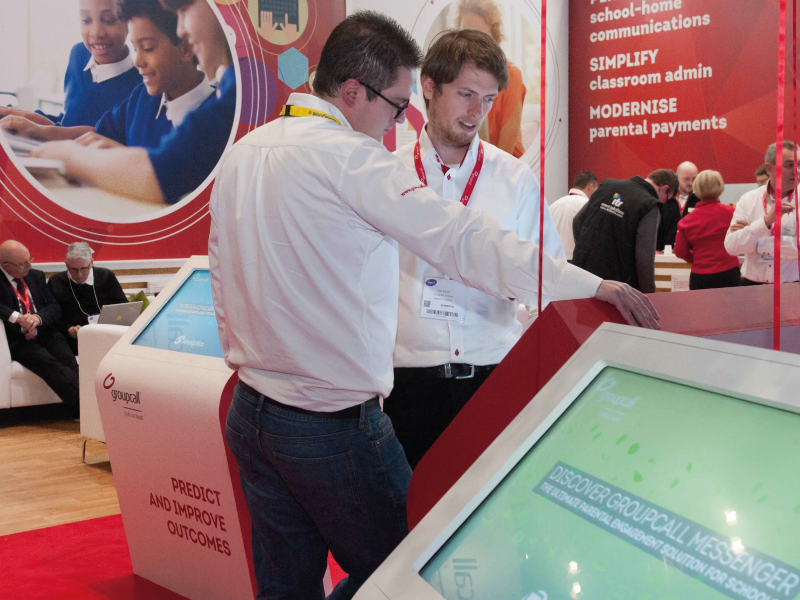 Founding partner Bob Geldof spent time on the stand when away from speaking in the main auditorium and moderating the GDPR panel discussion at BETT. The client was very happy and thankful for our high level of service and our response to additional requests during the show. 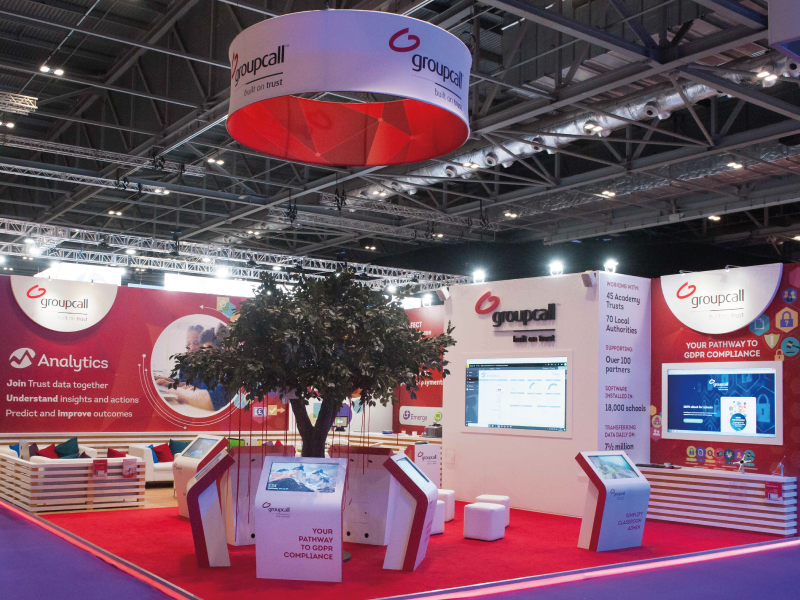 We look forward to working with them on other events and adding new touches to an impressive stand over the next two years.